The next version of the futuremark 3DMark 11 is in development and more information appeared on the futuremark press page . 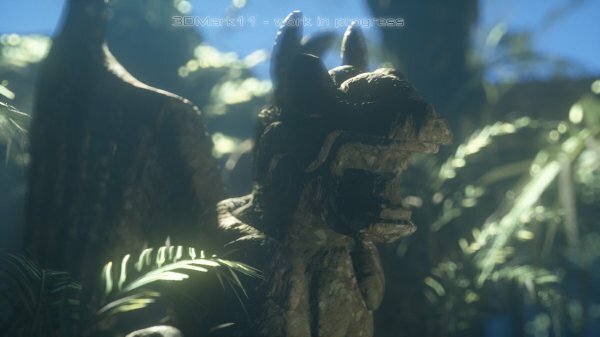 A new video tease the new DirectX 11 benchmark tool showing a High Temple jungle environement as futuremark want to name it , test and display in real time and advanced tessellation and lighting effects by 3DMark 11’s native DirectX 11 engine. The demo show a volumetric lighting effects to filter sunbeams through the foliage and a tessellation to increase the detail of the temple and the jungle, and miscellaneous post-processing to add depth-of-field and lens effects to the mix. Helsinki, Finland – October 20, 2010 –Futuremark®, the developer of the world’s most popular benchmarking software, today released a new trailer for 3DMark® 11, the latest version of their industry standard benchmark for real-time 3D graphics. 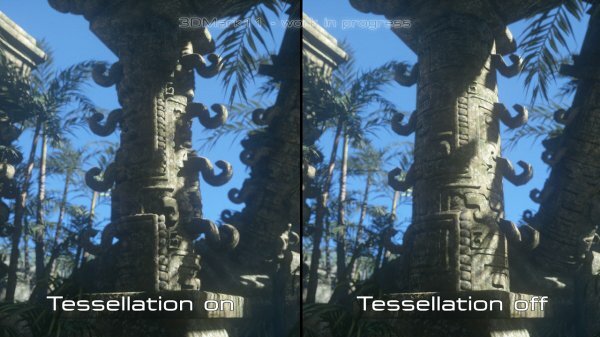 The "High Temple" tech demo trailer shows advanced tessellation and lighting effects rendered in real time by 3DMark 11’s native DirectX 11 engine. 3DMark 11 is due to be released later this year. High Temple is a demonstration of the DirectX 11 powered 3DMark 11 engine. 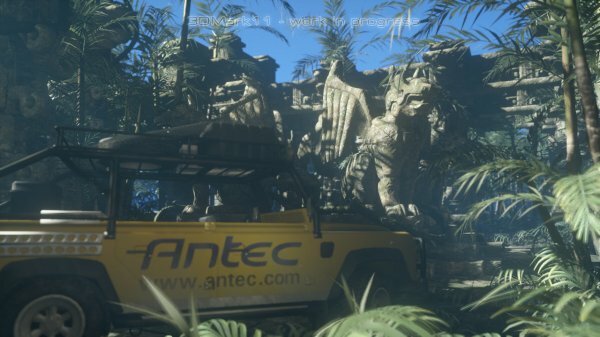 The high definition 1080p trailer features a mysterious ruined temple hidden deep inside a lush jungle. 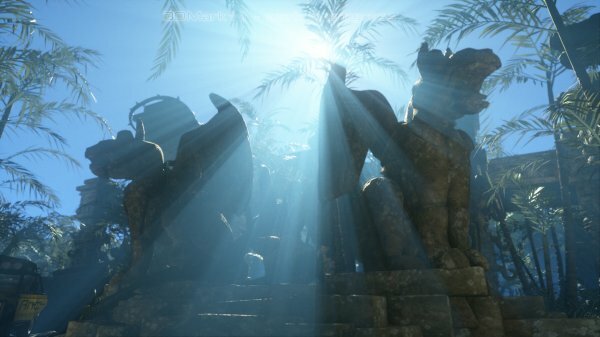 Volumetric lighting illuminates the scene with bright sunlight filtering through the dense jungle. Tessellation is used to add rich detail to the temple carvings and the jungle foliage. Post processing delivers depth of field and other lens effects. The music is an original composition by renowned composer Pedro Macedo Camacho. The trailer, a selection of new screenshots and further information about 3DMark 11 can be found on the official website: http://www.3dmark.com/"
"The High Temple tech demo showcases the amazing real-time graphics that are possible today using readily available DirectX 11 hardware," said Jukka Mäkinen, Futuremark CEO, "With 3DMark 11 releasing later this year and an ever increasing number of games using DirectX 11 there is a lot to look forward to for PC gamers." The 3DMark 11 High Temple tech demo will be shown at the Antec booth at BlizzCon 2010 in Anaheim, California from October 22-23. The Antec logo placement within the High Temple tech demo is a special sponsorship arrangement between Antec and Futuremark. Advertising placements ensure that Futuremark can offer a free edition of the benchmark alongside the paid editions.